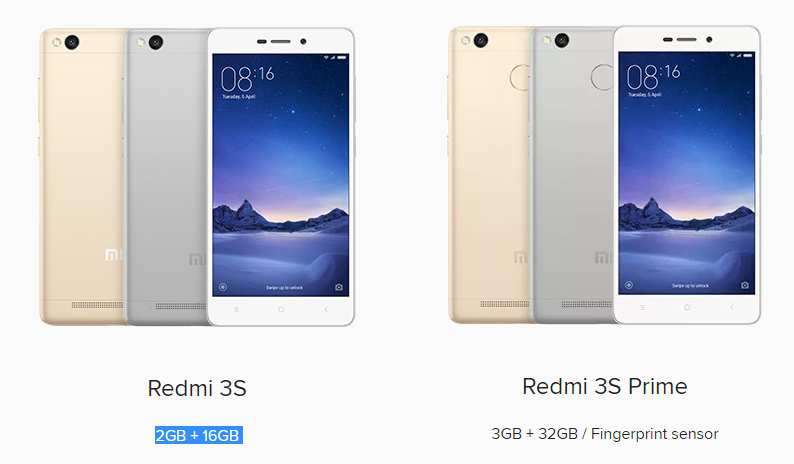 Checout which one to buy among Xiaomi Redmi 3S vs Redmi 3S Prime. Xiaomi has officially introduced Redmi 3s and Redmi 3S Prime smartphone in India. Here we go through comparison details of Redmi 3S vs Redmi 3S Prime smartphones in terms of technical specifications available to us. Specifications and features of both the phone remains same but there is one major difference in both of them – the processor setup has been changed. On the Prime variant we have the 3 gigs of RAM and 32 GB internal memory while on the normal version we have the 2 GB RAM with 16 GB internal memory. With those changes, the effective price of the Prime is costlier with Rs 2000 more than the Redmi 3S.